How to choose the right flight time? What bad foods to avoid? How to use light to your advantage? Let's hack those nasty jet lag feelings. If you’re a frequent flyer, you know that jet lag is the modern world’s version of ultimate discomfort. It has the power to wreck your first few days of vacation, bomb those important business trip meetings, and ultimately wreck your sleeping pattern for what seems like weeks, leading to some major life frustration. You easily find yourself sluggish and exhausted, but jet lag doesn’t only affect your sleep and energy levels. 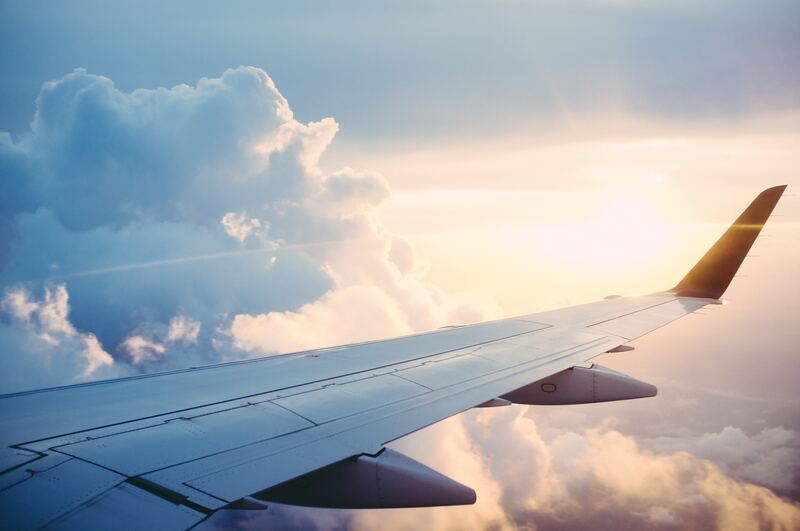 Along with many others, the jet lag grinch comes bearing digestive issues, confusion, headaches, mood swings, and dehydration, and in order to avoid or lessen these jet lag symptoms, it’s important to prepare ahead of time with a few tips in mind. It’s best to pick a flight set to arrive in the evening time. This way, you’ll reach your destination with enough time to eat, maybe see some sights, then head right to bed! The goal is to adjust your body’s time clock to the new time zone. Choosing a good flight time will lessen the sleep shock if you’re able to go to bed sooner. A day before you’re about to depart, or even on the plane if it’s a really long flight, try setting your clocks/watch to the time zone you’ll be in and adjust your sleeping pattern accordingly. When you arrive, your body will already be acclimated to the time switch, which means more time for you to practice that big presentation or enjoy your location. You might be headed to your vacation, but that doesn’t mean it’s quite time to booze up! Instead of ordering that glass of wine, drink water. The air on airplanes is incredibly dry, which means your body becomes dehydrated very quickly. Unfortunately, that means alcohol and caffeine are a big no-no. Drink lots and lots of water in order to prevent the onslaught of dehydration symptoms like headaches and constipation. If you’ve ever eaten airplane food, you know it’s not exactly what you call “healthy.” The food served on airplanes is usually extremely processed and packed to the brim with oils and carbohydrates. This can expedite those lethargic feelings, only making it more difficult to stay awake if you need to. Instead, try loading up on proteins and have a larger breakfast before you leave so you’re not starving on the plane. As tired as you may be after a long flight, it’s important to move your body after it’s been sitting for long periods of time. Taking a quick walk or going for a light jog will help restore your blood flow and healthy circulation, reducing your jet lag symptoms. It doesn’t need to be intense. Your body’s internal clock responds very systematically towards daylight. Use that to your advantage to help you adjust to the new time zone by staying awake during the day, even if you arrive in the morning, and heading to bed when it’s dark. As hard as it may be, your body will respond better to staying active during the daylight and sleeping during the night. Your body is meant to sleep when it’s dark. Try not to disrupt its sleep cues, as it will only prolong your jet lag symptoms. And there you have it! Hopefully these tips help you to combat the array of uncomfortable symptoms that creep up on you after a flight. Remember to try to adjust your body’s time clock before you arrive and before you leave to head home. Jet lag happens both ways, and you don’t want to fall behind on those zzzz’s! Have a safe flight, and enjoy your destination. Emma Lunsford is a freelance writer for hire, who helps clients with all of their blogging, ghostwriting, and website content needs. She’s bossed a bread bakery, gourmet donut shop, and now her current writing career as the founder of Emma Write Now. The 36,000ft View of How to Beat Jet Lag Predictably. Could beating the effects of jet lag be our next big challenge?